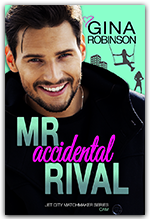 Accidental rivals who unwittingly fall in love. A rivals to lovers romance. Mr. Accidental Rival is a standalone novel. Small business owner Toria Williams is fighting the anonymous guy who's trying to steal her beautiful office space. Fortunately, life isn't all struggles. 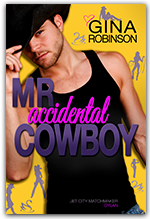 Her matchmaker has just paired her with the hottest, sweetest man. It's love at first date. Even better—this great guy is determined to help her keep her space. Cam Johnson has finally found the perfect office space for his new pet project. Now all he has to do is outbid the pesky current tenant who refuses to give up her suite. Fortunately, he has a beautiful, witty woman to distract him and sympathize. It looks like his matchmaker has finally found him his perfect match in Toria. 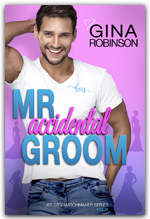 Until Cam accidently discovers that the enchanting woman he's involved with is actually his office space rival. Pick up Mr. 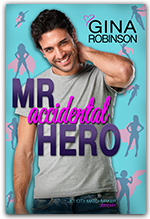 Accidental Rival and find out why readers love Gina Robinson's good guy heroes, the strong women they fall for, and their funny, witty, romantic stories. The Jet City world presents romantic stories full of humor, laughs, secrets, mysteries, and poignancy.